DS Supplies have only gone and done it AGAIN and won The Innovation Award for Best Build Product 2 in a row in the #HAIShow @CityWestHotel! 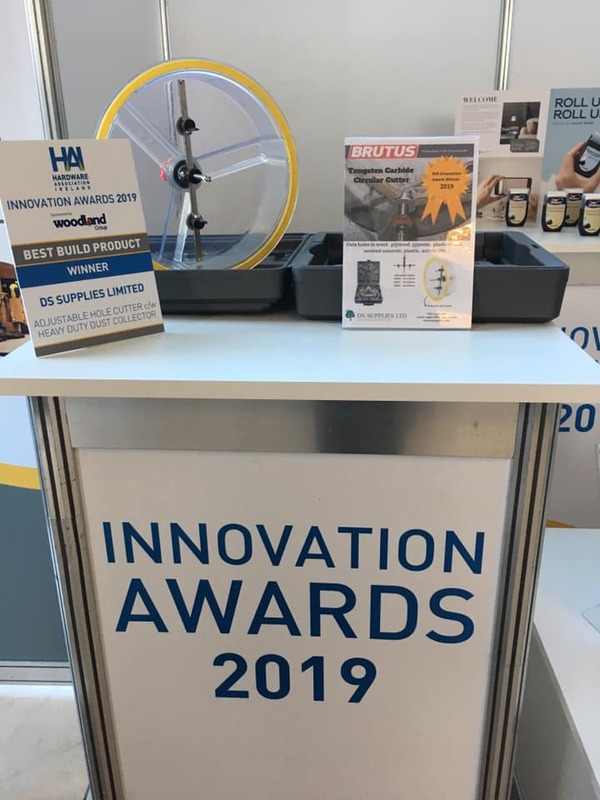 Back in 2017 we won the Award for our Trojan Combi-One Profile and now have just won the 2019 Award for our Brutus Circular Cutter. This handy device cuts through wood, plasterboard, plastic, acrylic and even aerated concrete to create a clean, symmetrical hole every time with no mess and no clean up! Blades are adjustable to suit your cutting needs. 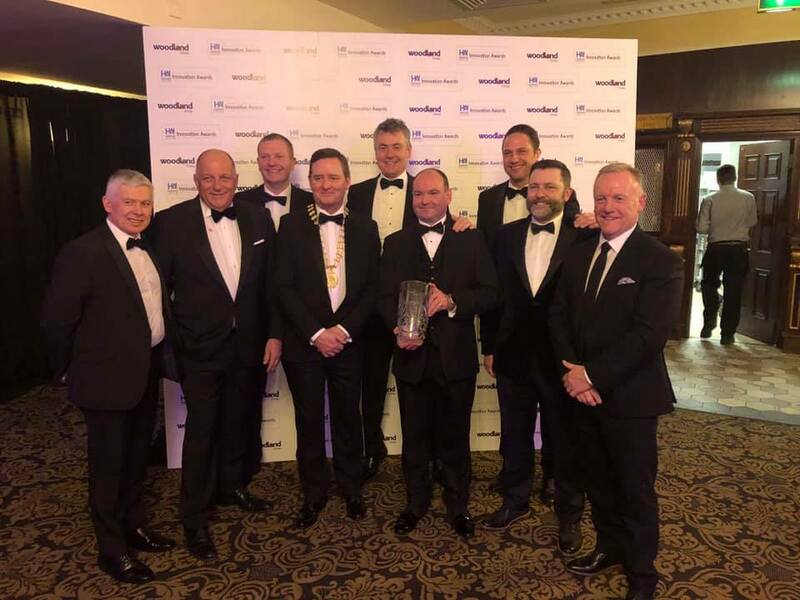 The DS Lads scrubbed up well to accept the award, Well done Lads, well deserved!